As we first reported on MMAmania.com (story here), GLORY kickboxing will return to ESPN programming for a second time. 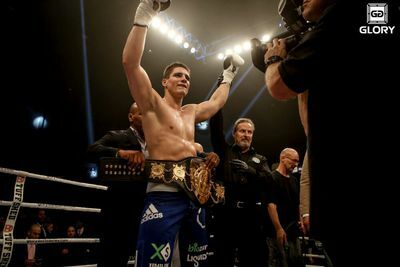 The promotion today confirmed that GLORY 26 — which is scheduled to take place on Dec. 4, 2015, live from RAI Amsterdam in Amsterdam, Netherlands — will air live on ESPN3 at 4 p.m. ET and replay on ESPN2 on Sun., Dec. 6 at 8 p.m. ET. In addition to those two airings, GLORY 26 will also be shown on ESPN Deportes on Sunday at 4 p.m. ET. GLORY 25 aired on ESPN 3 and ESPN2 on Nov. 6, 2015, the latter replayed at 1:30 a.m. ET and the fight card headlined by Robin van Roosmalen’s lightweight title defense over Sittichai Sitsongpeenong, garnered 198,000 viewers.